UPDATE – Godaddy has said they are unable to fix this issue as all standard utm parameters are stripped server side in order to minimize the number of page versions which are cached with their built-in caching service that’s provided with the Managed WordPress platform. It’s odd that not all parameters are stripped. If you do need to track based on URL parameters be sure to us non-utm ones like ‘src’ for example. This is an unfortunate problem as I really love this managed wordpress hosting but feel this is a significant shortcoming for those looking to track utm sources in contact form submissions. There’s a very strange problem that I’ve run into, where something inherent to the Godaddy WordPress Managed Hosting environment causes utm parameters to be unreadable by scripts on your website. The issue was discovered while implementing a code I wrote to track the source of website traffic. In essence what the script does is read if a url is tagged with utm parameters i.e. yoursite.com/?utm_source=google&utm_campaign=adwords then it sets cookies with those parameter values in order to be submitted with forms on the website and tell us marketers what the source of that lead is. Whey you try to pull those utm parameters using a script on Godaddy Managed WordPress sites then nothing is found. If I were to use any other possible parameter, src= or utm_source2= then those parameters can be read and the script works flawlessly, but any of the standard utm ones, it can’t find them. I’ve tested this same script on 4 different servers; two Godaddy Managed WordPress hosting accounts, one Godaddy shared hosting account, and one host on another server. 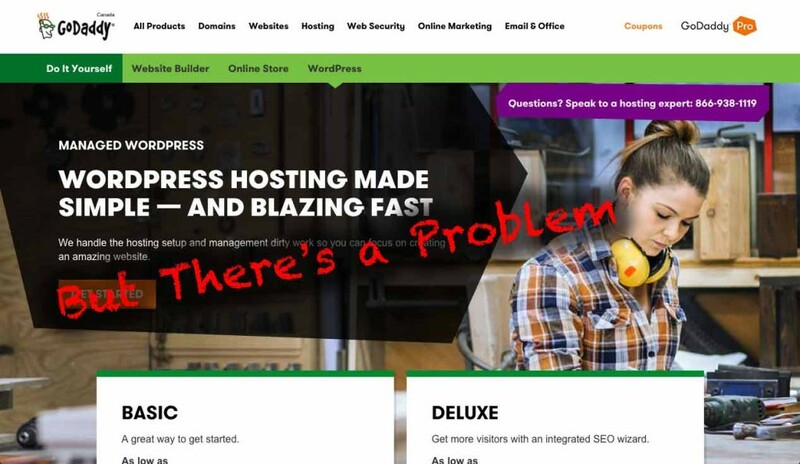 The Godaddy shared and other hosting service worked flawlessly, neither of the Godaddy Managed WordPress sites worked with it. I took all necessary testing precautions, disabled all plugins and both sites use completely different themes from different developers, I even tried Twenty Fifteen on one and it still didn’t work, so the problem must lie with the hosting environment itself. I called Godaddy about this issue and the representative who I spoke to was very nice (please don’t reprimand him for anything I mention here Godaddy, he’s a good one), and agreed that I had taken all testing precautions and it most likely was an issue with the hosting environment. Frustratingly things seemed to stop there. He said he passed along a note to their team but that there’s no case which could be filed for this sort of issue and that changes like this are very slow to implement, which is understandable for a platform of this size, but this is a pretty huge oversight. There have been other people trying to resolve this issue online in forums, so since I have already wasted about 8 hours trying to figure out what was going on, I thought it would be best for me to let the world know that those utm parameters are not working as of this moment so give up, and email Godaddy to tell them to get moving on a solution! Surprise 😀 We’re on it! Our engineering team is evaluating the situation now. Please send me an email at mendel@godaddy.com /w additional spots in the forums that you’ve seen people talking about the issue. In the meantime, apologies for the 8 hrs spent trying to figure it out! Thanks for the response Mendel, I was hoping your team would see this and take action 🙂 I’ll send you an email now with details. Cheers! Peter, seems like we have run into this issue ourselves. Do you know if this was ever resolved? Sorry to hear that. Unfortunately it hasn’t been Joshua. They say it’s due to caching and that those parameters are stripped to avoid caching duplicates. It does not strip non-standard parameters so depending on your situation you may be able to add another non utm one like ?src=____ and pass the data using that.